Judge Albert E. Davies was sworn in on August 6, 2018 as the Belmont County Court of Common Pleas, Juvenile and Probate Division Judge. Having worked in the law firm of Myser & Davies for the past 25 years and as a Judge in the Belmont County Court, Eastern Division for approximately four years, he looks forward to continuing to serve the citizens of Belmont County. Judge Davies also previously served as the Law Director for the City of St. Clairsville for nearly 15 years. 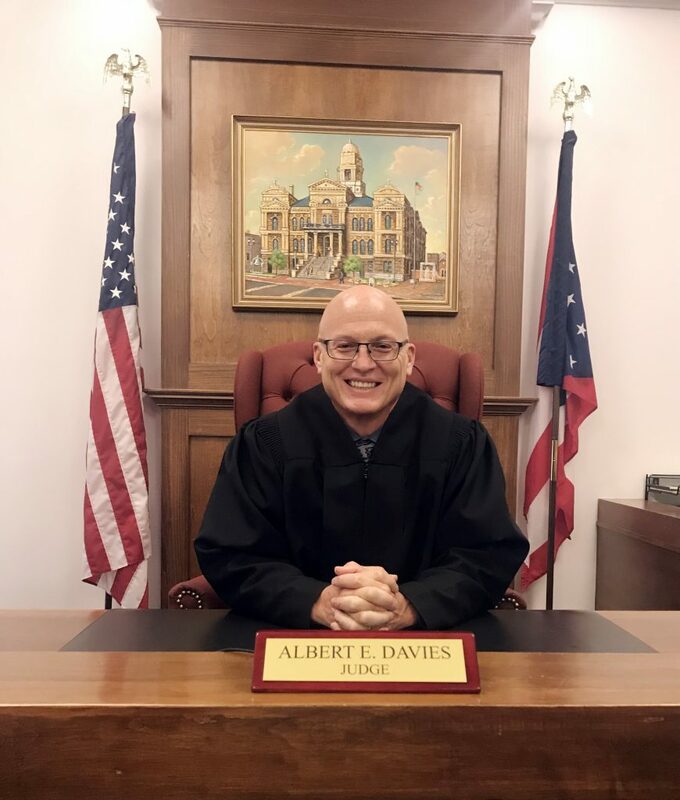 Recognizing and appreciating the responsibility to serve the youth and families of Belmont County, Judge Davies vows to work hard to ensure balanced justice to meet the best interests of the children, families, and citizens. He has practiced in the areas of criminal, family, school, municipal, corporate, and personal injury law. Representing several school districts in Belmont County in the past, Judge Davies advocates for our youth and values education. Judge Davies resides in St. Clairsville with his wife and two children. He credits his success to the love and support of his family and his strong faith. He is a graduate of Miami University and attended the University of Toledo College Of Law. Judge Davies is honored to have been selected to the judiciary to serve the citizens of Belmont County promising to do so responsibly with integrity and dedication to the youth and families of our communities.